The American television personality, model, and actress is Porsha Dyanne Williams. She is popularly known as Porsha Williams. Her appearance in The Real Housewives of Atlanta since its fifth season in 2012 has risen her into prominence. She also appeared and finished eighth place on 2017 The New Celebrity Apprentice. 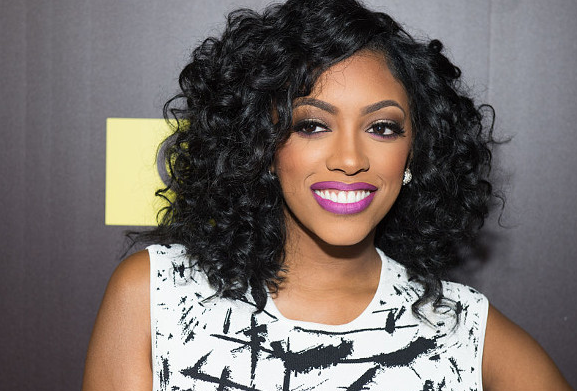 Porsha has a series of great news to her fans and well-wishers. Yesterday, Porsha via her Instagram account revealed that she is now engaged to Dennis Mckinley, an entrepreneur/Businessman. She did not hesitate to display a grand diamond ring that she wore, which we could see on her Instagram account. Porsha is starting a new phase of her life with Dennis. Two weeks earlier on September 19, Porsha revealed via her Instagram account that she is expecting a child with her now-fiance, Dennis. Williams’s is pregnant after her prior miscarriage which was six years ago. Previously, Dennis and Porsha were spotted holding hands while leaving the Leon Diamond jewelry store in New York City when a TMZ cameraman asked whether there was a wedding in her future. The "RHOA" star has reportedly been doing her best to keep her relationship with Dennis. Previously, she has not posted photos of her new beau, she has used the hashtag #DM on several Instagram posts and is following him on the mobile app. Porsha Williams’s real name is Porsha Dyanne Williams. She was born on 22 June 1981 in Atlanta, Georgia, United States. She was born to Hosea Williams II and Diana T. Williams. They both were self-employed entrepreneurs. She has two siblings named Lauren and Hosea. She attended Southwest Dekalb High School at Decatur, Georgia. After high school, she pursued a degree in business information technology at the American InterContinental University at Schaumburg, Illinois. Williams height is 1.70 m and weight is 64 kg. Her eye color is dark brown and the hair color is black. She has a broad smile which makes her more charming. Overall, she has a balanced and healthy body. Earlier in her adulthood, she appeared in the music video. When she was 24, she opened a daycare facility that he solely owned. In 2005, she modeled for a ‘pin-up’ calendar for the ‘Atlanta Dymes’. In 2012, she was cast in the fifth season of the reality television series ‘The Real Housewives of Atlanta’ and made her first appearance in third episode on 18 November. In 2013, she launched a line of hair care products. She joined the cast of Burruss's stage musical ‘A Mother's Love’. On 17 March 2014, she released her debut single titled ‘Flatline’ through the iTunes Store. She was cast in the reunion sixth season of ‘The Real Housewives of Atlanta’. Porsha and another RHOA cast Kenya Moore dispute came into the limelight, where Moore even threatened to quit the series if Porsha remains. In September 2015, Bravo announced that she had signed to be a full-time housewife once again, along with newcomer actress Kim Fields. On January 28, 2016, it was announced that she is participating as a contestant on ‘The New Celebrity Apprentice’ which is also known as ‘The Apprentice 15’ and ‘The Celebrity Apprentice 8’. Recently, Williams is a now engaged to his lover Dennis Mckinley. She made the engagement official via her Instagram account posing herself showing the grand diamond ring on her. On her earlier posts, she used to mention #DM, short for Dennis Mckinley on most of her Instagram post. Previously, She was rumored to be in a relationship with Dennis McKinley since 2018. The rumor became official when she announced that she is expecting her first child with him on 19 September 2018. She posted her photo on her Instagram account and announced the pregnancy. And she is happy and excited about the pregnancy beginning the new chapter on her life. Before Dennis, she was married to football player Kordell Stewart in 2011. The couple married in an elaborate ceremony in May 2011, which was filmed and broadcast for the ‘WE tv’ television series ‘Platinum Weddings’. Through the marriage, she became the stepmother to his minor-aged son named Syre from his previous relationship with Tania Richardson. The couple did not have any child but she suffered from the miscarriage. Later due to the problems, the couple got divorced in 2013. She also got hospitalized due to the stress of divorce. She was also linked with Teodoro Obiang Nguema Mbasogo, president of Equatorial Guinea in 2014, LeSean McCoy, and NFL starts Duke Williams in 2015. On 29 December 2014, she was arrested for speeding with a suspended license but was released the same day. In 2013, the net worth of Porsha Williams was estimated at $16 million before the divorce. Her footballer ex-husband Kordell Stewart was a wealthy person. After the divorce, Porsha did not receive any alimony from her husband. As a result, in 2016 the net worth of Porsha Williams was estimated at $500,000 only, a lot lesser than earlier. At present, the net worth of Porsha Williams is estimated at $800,000. Porsha Williams has starred in promotion campaigns for 'Go Naked Hair' and 'Naked Lingerie line'.